"Retirement? I'll worry about it when I get older"
"My parents are rich, I will inherit my retirement!" "I know I should be saving up for retirement, but I have too much stuff going on right now. I'll worry about retirement when I have more free time." "Before I invest any of my hard earned money, I want to learn as much as I can about smart retirement and investing so I don't make any mistakes." If you're working and making an income, you need to already start thinking about retirement. Imagine taking a vacation to a foreign country without an itinerary or game plan. Pretty stupid right? That's essentially what many people do with their money every day. Many Americans are struggling to make ends meet. Some of the reasons may be under their control such as their spending habits. Some of the reasons may be out of their control. Either way, Americans are not properly making short, or more importantly, long term investments. 27% of all Americans have no personal savings. Recent gallup poll finds that most U.S. workers expect to continue working either full time (18%) or part time (63%) after retirement age. Do you want to retire at age 60? Or do you want to continue to work part time to make ends meet? What's going to happen to these people working to make ends meet when they can no longer earn a paycheck? To put it nicely, they're screwed. Last March, the Employee Benefit Research Institute released its 21nd annual Retirement Confidence Survey. In 2011, only 13% of Americans were very confident about having enough money for retirement. If you don't have a retirement fund set up yet, you need to do it right now. Let's talk about IRAs, or Individual Retirement Accounts, one piece of the retirement puzzle. An IRA is the name of a holding account. An IRA is not an investment, but an account where you can buy investments to put in. These investments can include stocks or bonds or real estate. IRAs are easy, and there's no reason you shouldn't be able to handle opening a Roth IRA by yourself, or with a little guidance from others. Traditional IRA - the money you invest is tax deductible, but the money you pull out at retirement will be taxed at the current rate. Taxes come at the back end. Roth IRA - You don't get a tax deducation on the money you contribute, since you're using after-tax dollars, but at retirement, earnings can be withdrawn tax free. This money is taxed at the front end. The way retirement funds make you rich is that they provide you with compounding interest. Compound interest basically means that you earn "interest on your interest." This is a snowball effect which occurs not only as you earn interest on your original investment, but also interest on any interest, dividends, and capital gains that accumulate. Your money grows faster and faster as years go by. Combine compound interest with the ability to earn at a much higher rate of return than your savings and bank accounts. Then combine that with your tax advantaged IRA, and you will make the most money possible with the least amount of effort. Today we're going to talk about Roth IRAs. If you make less than $110,000 a year as a single or less than $173,000 a year as a joint household, you will be able to contribute the maximum amount into your Roth IRA, which is $5000 a year ($6000 if you're over 50). This money will grow and you will have the security of being guarded against future tax rates when you withdrawal the money. If you make more, this article may not completely apply to you. However, if you make over those amounts, you may be able to still contribute a partial amount. If you make more than $110,000 and less than $125,000 if you're single and more than $173,000 but less than $183,000 if you're married filing jointly, you can still contribute to a Roth IRA. You first open a traditional IRA, then immediately roll it over into a Roth. There are no income limits for Roth rollovers. IRAs were created for working individuals. If your main source of income comes from your rich parents in the form of allowance or you get an inheritance from family as your only form of income, then you will not be able to contribute to a Roth IRA. You must have a salary to make contributions to your IRA. Your Roth IRA can be used in addition to your 401K, a powerful duo. I will talk about 401Ks another time. You can withdrawal your contributions at any time without penalty. There are rules and penalties set aside to prevent you from withdrawing your earnings before the age of 59.5. Remember, this is a retirement account. This account does not serve to fund your new car or your dream vacation. You can, however withdraw up to $10,000 in earnings without penalty in order to buy your first home. What do you put in a Roth IRA? You can put pretty much any investment vehicle you want into your IRA. I recommend keeping it simple with a mutual fund. A mutual fund allows you to pool together your money as well as money from other investors to buy stocks, bonds, and other investments in much greater quantifies than you could possibly afford to purchase on your own. Specifically, I like lifecycle or target retirement funds. Not freak out about picking and choosing individual stocks, bonds, other funds. I recently parted ways from my financial advisor and decided to manage my money myself. I was tired of paying unnecessary load fees and a high expense ratio. A load is basically a commission or a sales charge. An expense ratio is an annual fee for account maintenance. I was also tired of the need to call or email my broker every time I wanted to invest in the market. One way to avoid calling the broker is to use an investment strategy called dollar cost averaging, in which automatic investments are made periodically (i.e. $200 worth of funds purchased every 2 weeks). I like to have fun with my investments, and buy shares everyday the market dips in the red (the more the market drops, the cheaper and more quantities of shares I can purchase at a time). Every mutual fund comes with a price tag. 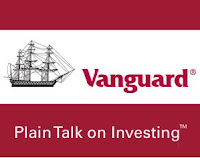 I looked around, and found that Vanguard was the company to go with. They have the lowest expense ratio in the market. They also have no annual fees to maintain your account (as long as you sign up for digital statements) They offer every type of investment you can think of: stocks, bonds, mutual funds, ETFs, CDs, IRAs, College funds, and annuities. Today we'll talk about your retirement fund and the easiest way to get started. Go to Target Retirement Fund. Pick your expected retirement age or your current age. Put in a minimum investment of $1000 to get started. 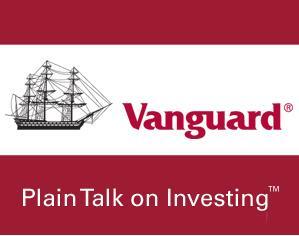 If you're paying too much in fees with your brokerage firm, you can transfer the funds into a Vanguard account. The whole process will take you 15 minutes. Congrats, you're done. You're opened your first retirement account and you're already better off than most of your friends and better prepared for investing in yourself and your future. There's even an iphone app you can download and buy funds on the go with a few clicks. 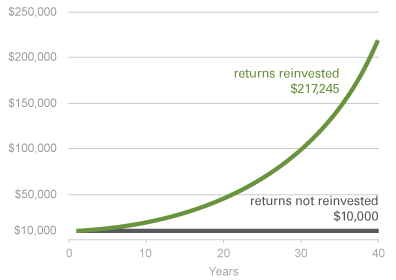 You can, and should always invest the maximum $5000 a year (if you're under 50). If you're currently working and you still don't have $1000 saved up, you need to make some changes in your life as soon as possible. Go read up on the perfect budget solution and then come back to this article. Update: The deadline to contribute (up to $5000) for the year 2011 is actually on April 17, 2012. There's still TIME to contribute. Do it now! "And how many funds do you think someone needs in this buy-and-hold stock and bond portfolio? Well, the answer is so counterintuitive to the way people think. You can do it with one fund, a balanced fund that's 60% stocks and 40% bonds. Another simple strategy is a target-date fund, in which you get more bond exposure as you get older. But you don't need to put your money into eight different mutual funds." Yup he said it, you can do it with ONE fund.